Check out Avoiding The Puddle or Famitsu for more images. Cool! 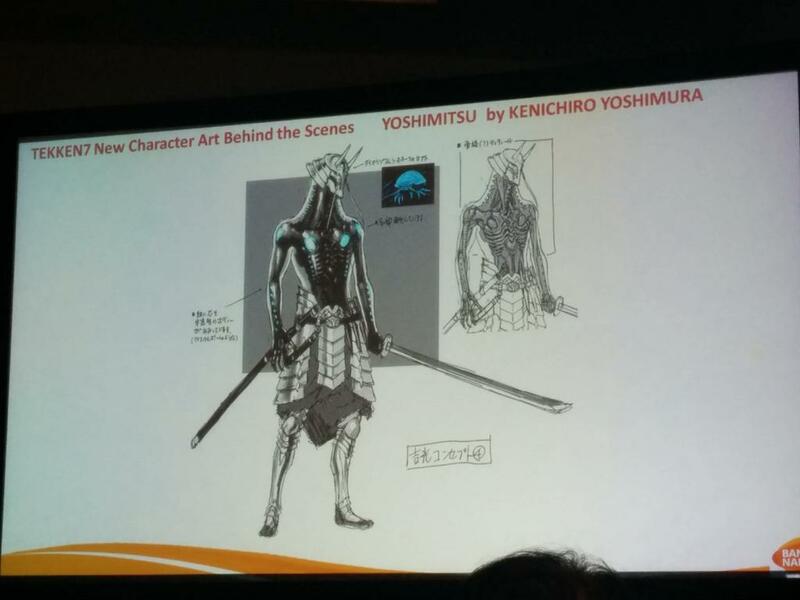 He looks just like Garuda + Bishamon in the last one! Updated a little late but added the panel video uploaded by Rip on the post. Audio quality is a little bad but it's understandable. Thought about transcribing it but it seems pointless without the imagery associated with the explanations so just watch the video. I really wish the whole panel is available for viewing somehow. 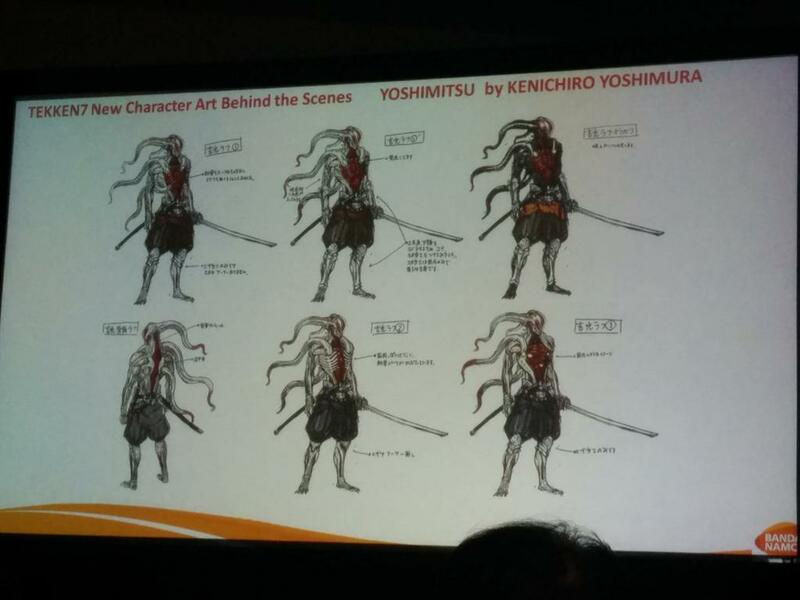 I'm very interested about their thoughts on the design of all the characters. 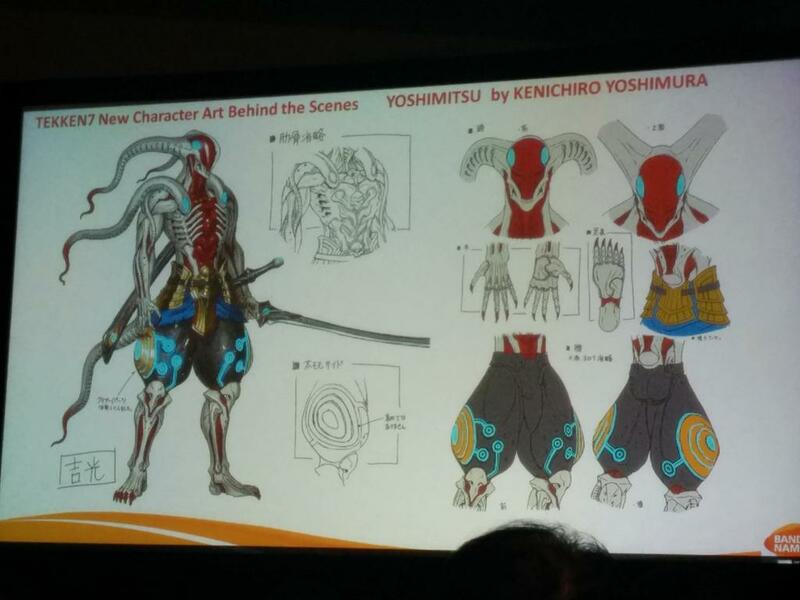 Love the Kazumi variations and Gigas. 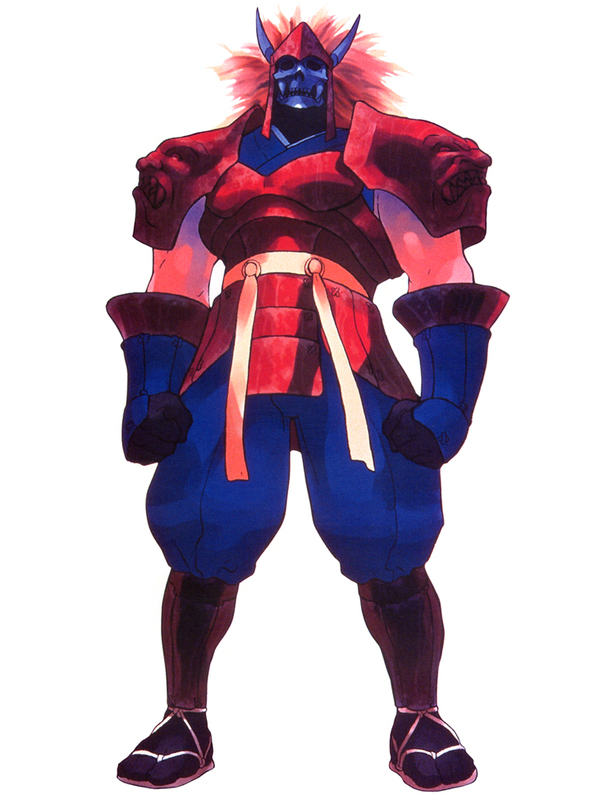 Shaheen seem to have had numerous designs as well. Practically interested in all of them. This is probably the most menacing Yoshi concept I've seen. Would have loved to see it in T7 but I'd understand if it may be a little too scary for a mainstream audience. Evolving into what he looks now makes him a little more unique and memorable. 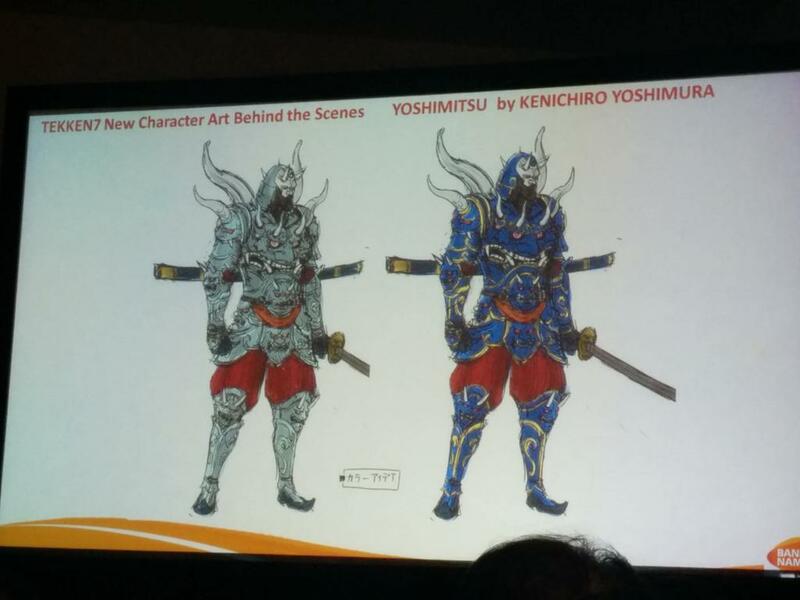 Doubt these will be extra costumes but definitely want my hands on the art book now. Oh DAMN!!! The fourth picture / third costume - I've dreamed about it!